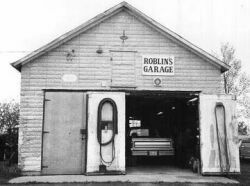 Roblin's Garage is a small family operation located in south-eastern Ontario. There has been a garage on this property since 1930. We have over 875 cars and trucks for parts and restoration that have been collected since 1958. We also have a vast quantity of new, used, and NOS parts to supply your restoration needs. We perform general repairs, safety inspections, towing, and auto wrecking. Lawrence C. Roblin, proprietor, has over 45 years experience and is a fully qualified Class A mechanic. His specialty is the mechanical restoration of antique cars and trucks. Combined Virtual Tours - you can now view the sub-makes of GM, Ford and MOPAR on the same page. We have started to crush the yard. All the imports are gone. Select other vehicles have been crushed or sold as parts cars. If you want something, you better get it in 2012. Don't bother emailing. 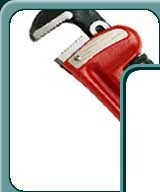 We have over 2,400 New, Used & NOS items in our Ebay Store. We ship worldwide except for curved glass and where size limitations exist. To visit our store, click on the EBAY LOGO.